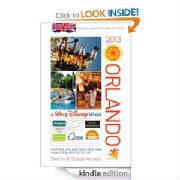 Experts for Orlando, Disney, the Theme Parks, Cruising and Much More! You've been to Disney World hundreds of times and can rattle off the entire spiel for the Jungle Cruise from memory, but how much do you really know about these imaginative theme parks and their attractions? From the fastest rides and the tallest sculptures to the parks' enchanting history and hidden gems, this trivia challenge doesn't miss a single detail - no matter how small. Full of Disney's best-kept secrets and facts, you will spend hours racking your brain trying to figure out answers to questions such as, "What is the name of the award Walt Disney created for special Cast Members?" and "What is so special about the dentures Dr. Winch is promoting at Country Bear Jamboree?" 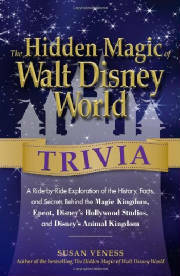 A treasure trove of challenging Disney World trivia, this book is guaranteed to stump even the biggest Mickey Mouse fan! And there's more, much more. Our travels in recent years have taken us from Alaska (see left) to Arizona; Bowling Green to Barcelona; from the tropical Caribbean to the sub-Arctic Canadian border; and to every Super Bowl city in the past 15 years! We have undertaken fun family RV journeys (see our Blog, here) and glamorous cruises; explored Florida from top to bottom; had breakfast the length and breadth of I-75 (don't ask - it's a long story! ); and unearthed a vast treasure-trove of wonderful and offbeat experiences along the way. In 2010 and '11 we visited the likes of Chilean Patagonia, Santiago and the superb wine region of the Colchagua Valley, and undertook a 2,300-mile journey through the heart of Europe by car, taking in Amsterdam, Berlin, Prague, Munich and Salzburg, fascinating off-the-beaten track villages, like Berchtesgaden and Hitler's Eagle's Nest (below), and the ultimate heartbreak of Auschwitz-Birkenau in Poland. 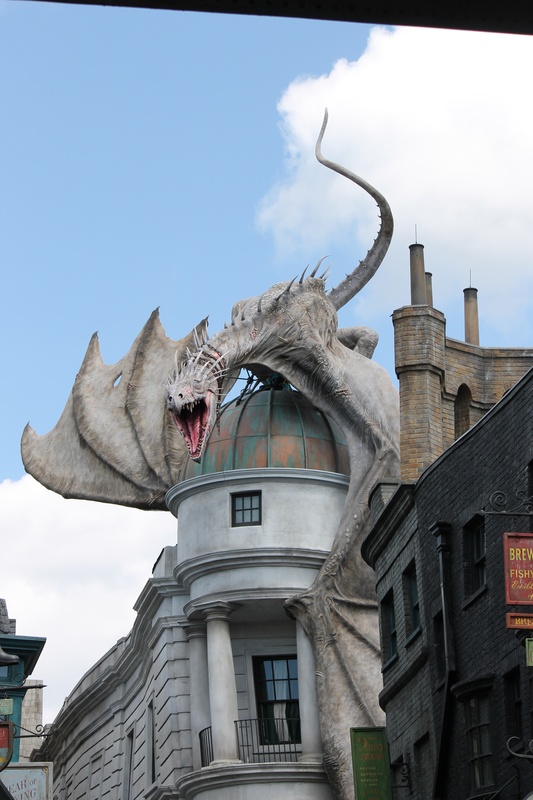 Closer-to-home, we had many encounters with the fantastic new Wizarding World of Harry Potter at Universal Orlando, blissful St Petersburg on the Gulf Coast and the hidden gem of Mount Dora in Central Florida. We enjoyed a stunning Fall Foliage cruise along the St Lawrence Seaway and around New England with Crystal Cruises to see the region's autumn spectacular from a different vantage point, and also spent time aboard the Disney Dream and Allure of the Seas, two of the biggest and most eye-catching new ships of recent years, as well as the Celebrity Eclipse, one of the remarkable Solstice-class vessels of Celebrity Cruises. In 2012 we undertook two major river-cruise adventures, along the Danube (from Romania to Austria) aboard the blissful River Duchess of Uniworld Boutique River Cruises, and then on the mighty Mississippi, on the impressive new Queen of the Mississippi paddle-steamer of American Cruise Lines, from St Louis to Memphis. We thoroughly enjoyed our trip to Indianapolis for Super Bowl XLVI, and a voyage aboard the truly epic Norwegian Epic cruise ship, a vessel which redefines the concept of entertainment at sea with a mind-boggling array of high-quality options. We were also able to 'do the double' by sampling the brand new Disney Fantasy (sister ship to the Dream from 2011). And we completed the year in style with an utterly memorable visit to Hawaii, where we enjoyed a typical 7-day cruise around the main islands on Norwegian Cruise Line's Pride of America (below) AND enjoyed four days on Oahu, where we were bowled over by the Kahala Resort and Disney's Aulani Resort - possibly the ultimate word in Hawaiian hotel style. The islands truly captured our hearts, though, and we can't wait to return at some stage in the future. For 2013, we headed to The Big Easy for Super Bowl XLVII and visited the awesome engineering achievement of the Panama Canal, sailing aboard the Coral Princess of Princess Cruises and also calling in Colombia and Costa Rica. One of our most memorable journeys to date took us back to Alaska, but this time with the small-scale style and wonderful historic touch of the unique SS Legacy of Un-Cruise Adventures, where wildlife adventures abounded and we are more in love with this part of the world than ever. Back on home territory, we were blown away (almost literally!) by the New Transformers ride at Universal Studios, while we remain hugely impressed by the vast array of Christmas celebrations in the theme parks. Moving into 2014, we enjoyed another trip back to Europe and another river-voyage in the company of Uniworld Boutique River Cruises (and their UK partners Titan Travel), sailing from Amsterdam to Basel and enjoying the highlights of the Rhine. 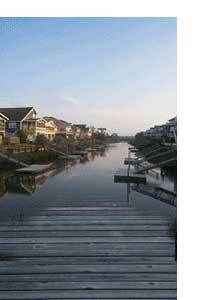 Truly, this is one of the vacation world's burgeoning opportunities, and it is one with consummate style. We completed the trip with five days just driving in the Black Forest, Switzerland and Austria and were captivated by the cities of Lucerne and Innsbruck, as well as the myriad of small towns and villages in the Schwarzwald. Most recently, we were fortunate to be part of the big media preview for Universal Orlando's new 'Wizarding World of Harry Potter - Diagon Alley' (below) which is genuinely one of THE great theme park experiences anywhere in the world. Many of our trips are unscheduled, or arranged late in the day, hence we're never really sure where we will be at any given time! We do know that we love to travel - and we love, even more, to write about it for our growing array of readers worldwide. 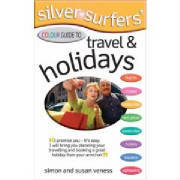 Our guidebooks have sold more than 400,000 copies while our range of freelance writing includes the Telegraph, Mail on Sunday and Independent newspapers in the UK, Orlando Attractions magazine and BBC America online. And, although Simon is no longer editing World of Cruising magazine, he remains a serious authority on all things maratime, with his cruise experience dating back to 1969 (OK, so he was only 9 at the time, but he has chalked up almost 100 voyages to date, and Susan is now an experienced cruiser in her own right). From the benefit of our Orlando home base, we will continue to highlight all the best there is in store in the Sunshine State with its myriad of attractions, and don't forget to follow along with our various writing in the UK and US travel media, on Facebook, in various Blogs, on Twitter (as @VenessTravelMe1) and on the pages of our favorite online resource, the discussion forums of Attraction Tickets Direct, here. Now follow us on Facebook, too! Welcome to the travel writing home of Simon and Susan Veness, a unique combination of Anglo-American insight, ingenuity and innovation in the wide world of travel media. 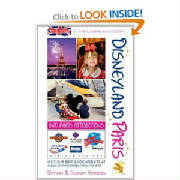 We have been well-known for our work with the Brit Guide travel series - specializing in all things to do with Central Florida, Disney, the theme parks, cruising and Disneyland Paris - for 20 years, but this site is designed to showcase a broader view of our work, from other books, to the wide variety of newspapers and magazines we write for, and our many online ventures. First and foremost, we have a unique perspective of our various travels worldwide as we started very much as Joe Tourist ourselves, holiday-makers with a keen eye for detail who demand value for money in all aspects of a vacation. Then, with multiple editions of the Brit Guide and other writing behind us (including a wide range of sources on the Internet), we have built up an amazing rapport with our readers that allows us to key in directly to what they are looking for and how they view their own vacations. On top of that, we have developed an acute insight into what makes the various attractions tick - how well they work (or otherwise), what their most positive attributes are and, more importantly, how people can best enjoy them. Our freelance travel-writing encompasses a wide range of traditional media, including some of Britain's top newspapers and in-flight magazines, plus an extensive array of online writing, discussion forums, blogs and social media. If you want to read more about our writing, click here: Recent Travels; To commission us for work, click here Contact Us. Simon's background in sports journalism means we often include sporting events of all kinds in our travels. Simon has covered a wide range of sporting events in the past 30 years, including the Super Bowl, Major League Baseball, Wimbledon tennis, Premiership soccer and even boxing, and he continues to write for various newspapers on American sport. He is uniquely placed to contribute articles on US events for UK media, and to provide a British perspective on American sporting occasions. In fact, we'd go as far as to say that a visit to a baseball game, or basketball, football or (ice) hockey is an essential part of any visit to the USA, and we are big flag-wavers for sampling life through the local sporting institutions. To view some of his sports-writing work, you can read his see his View From America columns for SkySports.com, Here. Veness Travel Media is officially a Sponsor of WDWCelebrations, a non-profit organization to promote special gatherings and other events at the Walt Disney World parks. Look up more at www.wdwcelebrations.com. The Give Kids The World Village in Kissimmee, FL, supporting the wishes of all children with life-threatening illnesses and their families from around the world to experience a memorable, joyful, cost-free visit to the Central Florida attractions. American Friends of Maru-A-Pula School in Gaborone, Botswana, a unique educational establishment in Southern Africa that runs rare and valuable bursary and orphan programs for the under-privileged in a caring, high-quality environment.